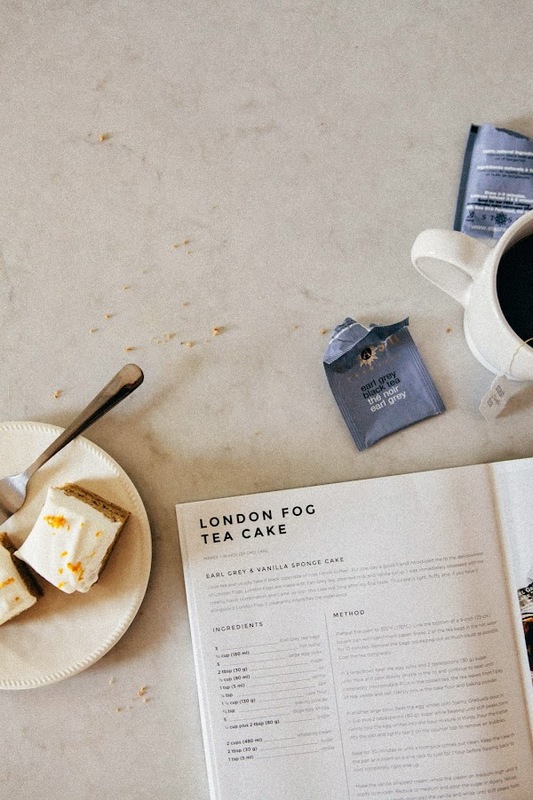 London Fog Tea Cake + A Cookbook Giveaway! I recently read a young adult book where two of the main characters often categorized people into two distinct groups, or, "types of people" — it was trivial stuff like those who work out and those who don't, or those who drink their coffee black versus those who drank stuff like pumpkin spice lattes and salted caramel mocha frappucinos. I'm old enough to know that the world isn't easily divided into black and white, but I do think there's some element of truth to the coffee drinking thing. For instance, when I was younger, I used to love all those super sugary Starbucks drinks; but these days, I prefer my coffee like I like my alcohol — strong, black and neat, with no additional sugar or cream. For some reason, however, I was never quite able to kick the habit with tea. 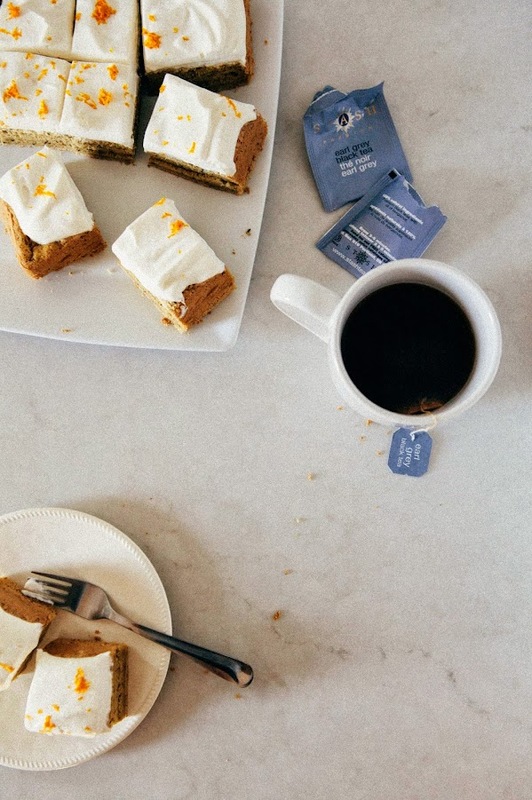 I like my tea today in the same way I liked it as a little kid; that is, sweet and creamy, with the tea providing just enough of a subtle flavor to all that milk and sugar — which is why I'm such a fan of London Fog tea drinks. If you've never heard of a London Fog before and you like your tea the same way I like mine, you're in for a treat. So what is a London Fog? It's like a latte, but made with Earl Grey tea instead of coffee. A traditional London Fog drink consists of two parts Earl Grey tea, one part steamed foamy milk and a dash of vanilla syrup. It's one of my favorite tea-based drinks (second only to green tea lattes). I've been an admirer of Steph's work for some time now. These days she blogs at the beautiful and award-winning i am a food blog (which I visit almost daily in my attempts to make dinner — I'm sure you'll find me frequently lurking in the comments section of her posts), but I actually was an avid follower of her earlier blog, momofuku for two, in which she cooked her way through the momofuku cookbook. 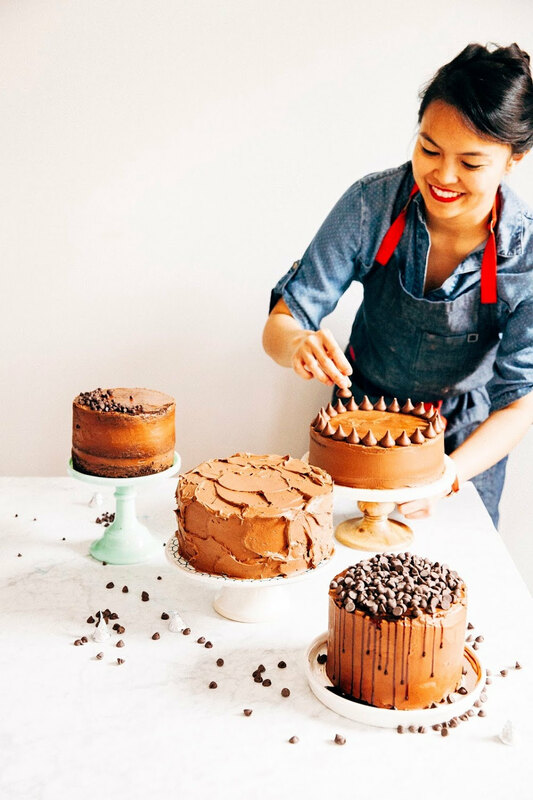 She's been such an inspiration for a long time, especially since my blog started out on a similar trajectory (remember how I baked through The Hummingbird Bakery cookbook and adapted those recipes for high-altitude in my early days of blogging?). It's weird to think that after all this time, Stephanie and I have become friends, chatting on Twitter and exchanging emails about kitchen sinks. Of course, I was still beyond honored when she asked me to review her cookbook. When it arrived in the mail a few weeks ago, I literally shrieked and spent a good portion of the week flipping through her recipes. 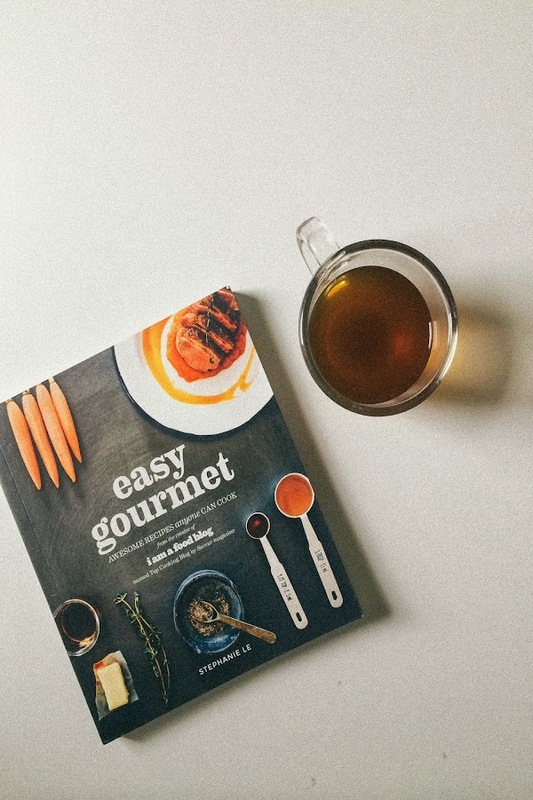 Easy Gourmet is exactly like her blog and more — beautiful, stunning pictures with clear instructions and a lighthearted, unpretentious voice that makes cooking wayyy less intimidating. So far I've made about four dinner recipes from Easy Gourmet, and all of them have been tasty, tasty, tasty. Honest to god, this is one of the fluffiest, lightest cakes I've ever made in my life. 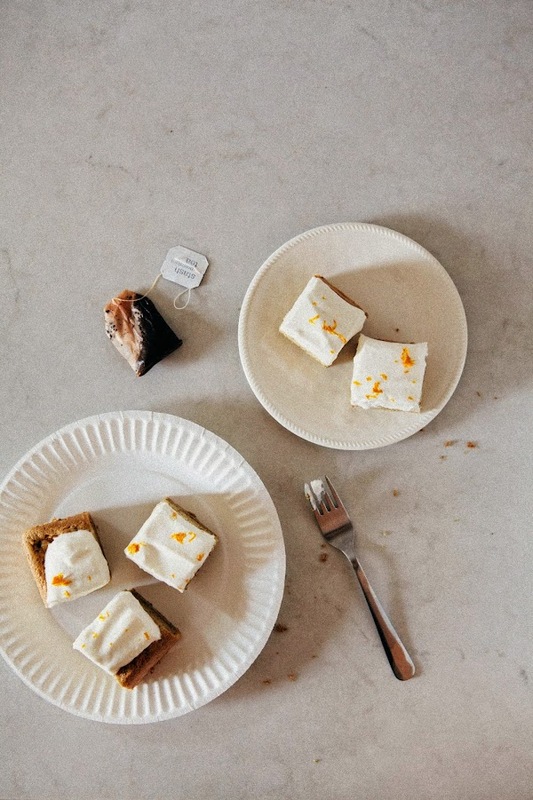 A big part of it is to do with the recipe itself — Stephanie basically folds the smallest amount of flour possible into a heap of meringue, essentially turning meringue into cake. Every forkful was like a cloud of air, complete with a subtle Earl Grey tea flavor and a dollop of vanilla whipped cream. Whether you like your tea plain black or crammed to the brim with milk and sugar, this is a cake that you'll need to eat alongside of it. Follow me (@hummingbirdhigh) on Twitter. Following me on Twitter gives you 10 entries in the raffle, increasing your chances of winning. If you already follow me on Twitter, no need to do anything! Just use the widget below to enter, and the widget will confirm that you follow me. Tweet about the giveaway. Tweeting about the giveaway gives you 5 entries in the raffle; just be sure to tweet at me (@hummingbirdhigh) using the giveaway widget so I know what's up. You can keep retweeting the message every day for the duration of the giveaway to earn more entries! The giveaway lasts for one week and ends next Wednesday at 9/24/2014 12:00AM PDT. I'll announce the winner here and reach out via email after that. Congrats to Julianne C, the winner of the giveaway! I'll be reaching out via email and Twitter to confirm. And for those who came for the cake recipe, don't fret! I've got it for you below, along with my usual baker's notes. Enjoy! This recipe requires you to whip up some meringue, which can be tricky on really hot and humid days. 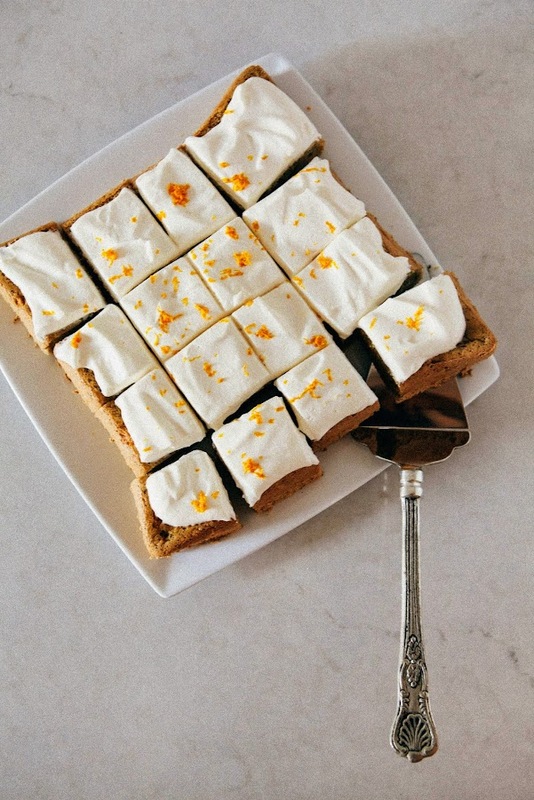 Making sure your meringue whips up stiffly is the key to success for this cake. Some tips for creating the perfect stiff meringue include 1) using a clean, metallic bowl, 2) using cold egg whites and 3) adding the sugar gradually, one teaspoon at a time, as opposed to all at once. Preheat the oven to 325 (F). Prepare a 9-inch square pan by spraying with cooking spray and lining the bottom with parchment paper; spray the parchment paper with cooking spray as well. Steep 2 Earl Grey tea bags in 3/4 cup boiling water. Allow to cool to room temperature completely. Remove the bags, squeezing out as much liquid as possible before discarding. In a large bowl, whisk together 5 large egg yolks and 2 tablespoons granulated sugar until thick and pale. Slowly drizzle in 1/3 cup vegetable oil and continue to whisk until completely incorporated. Pour in the cooled tea (from the 2nd step), tea leaves from the remaining bag of Earl Grey tea, 1 teaspoon vanilla extract and 1/4 teaspoon kosher salt. Sprinkle 1 1/3 cup cake flour and 3/4 teaspoon baking powder over the mixture, before using a rubber spatula to fold in the dry ingredients into the wet ingredients until just combined. BE CAREFUL NOT TO OVERMIX — at this point, it's okay to have one or two flour streaks left in the mixture. Set aside. In the bowl of a freestanding electric mixer fitted with a whisk attachment, whisk the remaining 5 egg whites on medium-high speed until the eggs begin to foam, before thickening and stiffening. Once the egg whites have started to stiffen, add the remaining 1/4 cup plus 2 tablespoons granulated sugar slowly, one teaspoon at a time, while still beating at medium-high speed. Continue beating until stiff, glossy and shiny peaks form — at this point, the mixture should have tripled in size. In this step, you're basically making a stiff meringue. Once you've made a perfectly stiff meringue (see baker's notes for troubleshooting), turn off the mixer. Use a rubber spatula to gently fold the egg whites into the flour mixture (from the 3rd step) in thirds. Pour the batter into the pan and lightly tap it on your counter top one or two times to remove any errant air bubbles. 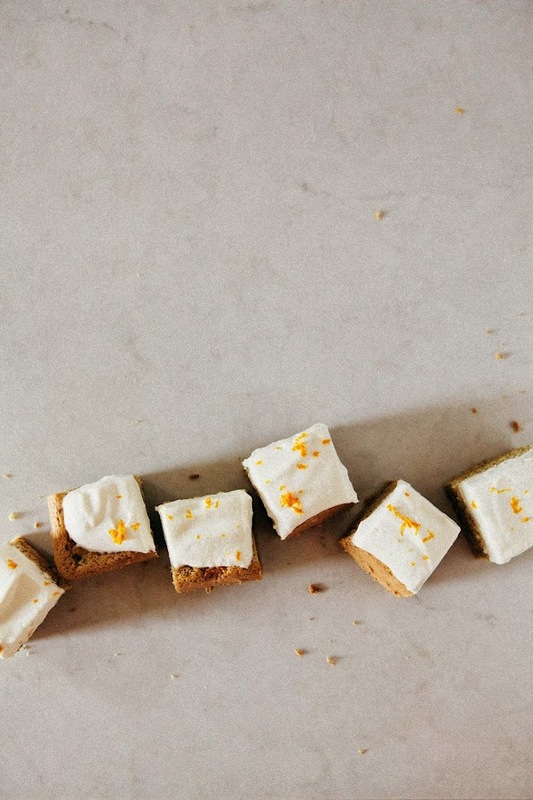 Bake for 30 minutes in the preheated oven or until the top of the cake bounces back when gently poked and a toothpick inserted into the center of the cake comes out clean. Transfer the cake to a wire rack and allow to cool completely in its pan. In the bowl of a freestanding electric mixer fitted with a whisk attachment, combine 1 cup heavy whipping cream, 1 tablespoon granulated sugar, and 1 teaspoon vanilla extract. Whisk on medium-high speed until soft peaks form, before transferring to the top of the cake and sprinkling with orange zest. I LOVE London Fogs! Cake looks fabulous, as usual. Must investigate the book. Wow! I like it! It looks so simple, but I am sure the taste must be excellent! soooo pretty!!!!! 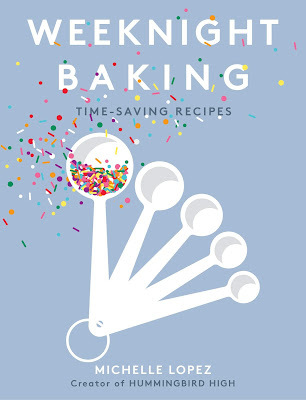 i seriously wish there were more hours (and more meals and more stomach space) in the day so that i could make as many recipes out of that book as humanly possible. I love London Fog's. So I imagine it in cake form would be amazing. Because cake makes everything amazing! I am seriously freaking out over the prospect of this book! I'm SO excited about it! 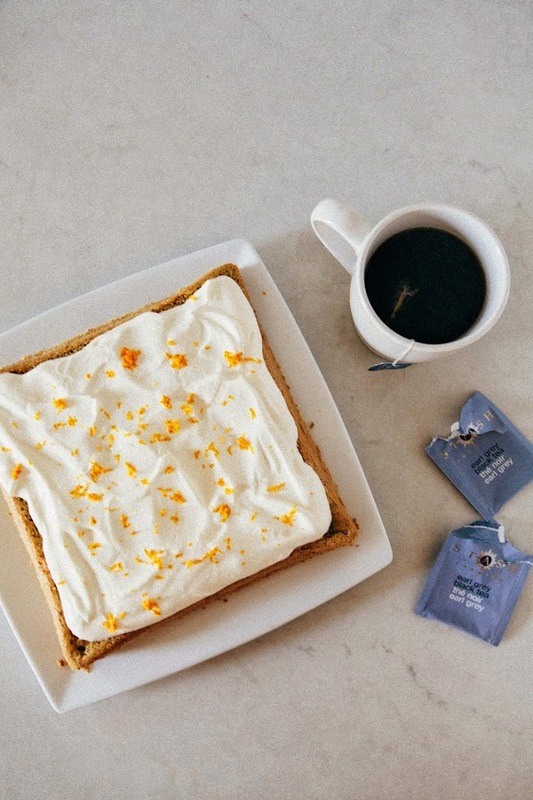 And ok, I just now discovered this London Fog business, and I can't WAIT ~ to try the drink and to make this cake! Do you think you could make it with spelt flour?